Recently I decided to adventure into a camping trip alone with my kiddos. Our family has had crazy busy lives since the start of summer and schedules haven’t lined up for a family camping trip. Our kiddos had yet to go camping and its almost the end of the summer! So I braved packing all my little humans up and heading out on a camping trip. 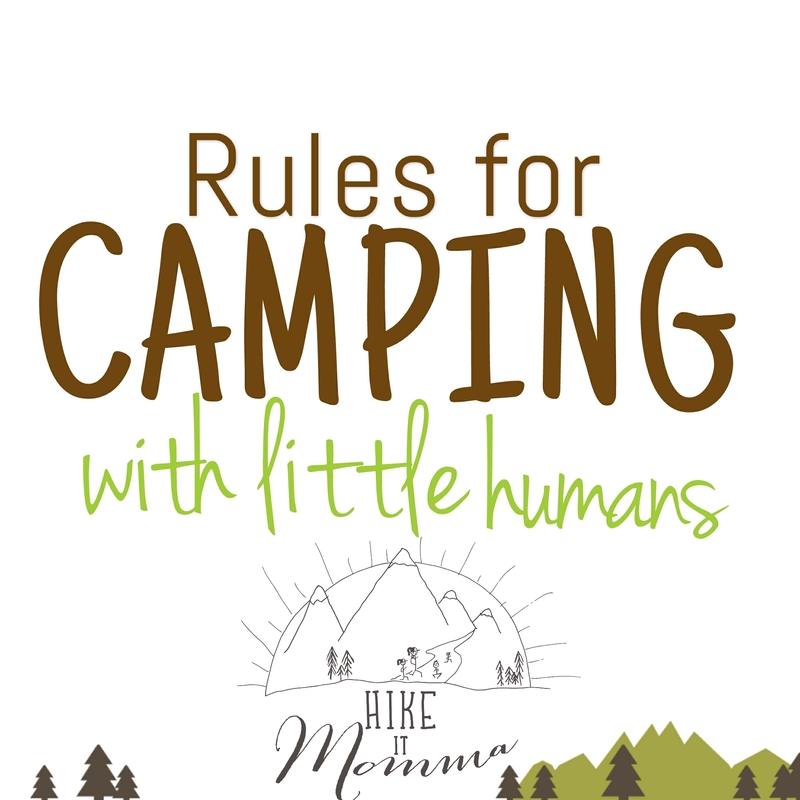 It was successful, so I have written you up my rules for Camping with little humans. Camp Set-up: Never assume kids are going to help set up camp. My kiddos help me a ton, but sometimes the only thing on their mind is playing. It is important to teach responsibility, however it is also important to make camping fun. When there is more work than play children tend to enjoy camping much less. So ask for a little help and let them know they can play something of their choice after. Plan activities- Scavenger hunts, hide and seek, or my favorite flashlight tag! Make memories and allow your kiddos to come up with activities too. Bring a little bit of home. When I take my kiddos camping I bring a piece of home for each of them. I let my kids choose a home favorite meal (usually chicken nuggets or pizza. Those are not typical campfire meals, but they can be cooked over a fire with a little patience and modification. For babies I bring a favorite toy or blanket, this will help baby sleep. Babies sometimes don’t sleep in unfamiliar places, I try to counteract this. Bring a carrier for baby even if you think it’s not necessary – Always bring a way to hold baby even if you already packed a play pin. My youngest didn’t want to hangout in play pin and he is the stage where everything goes straight to his mouth, so sitting him on the ground to play is not an option. I bring a stroller and SSC for him. Kids who use electronics, leave them at home. Don’t even Let them bring it for the trip to the campgrounds. I made the mistake one time of letting my oldest bring his DS for the ride. It didn’t take long for me to find him sitting in his camp chair playing it. I’d like to say that I can trust him to listen to me saying no, but the temptation is too much for his little mind. Always assume you forgot something- Check, check, and check your list again. Often I will check three times and find something I forgot each time. Let kids help pick the camping spot- We don’t think about it, but our kids can help us find the perfect spot for the whole family. They are thinking about things they want to do during the trip and if we pick a spot that they can’t slay a dragon or have a secret fort likelihood that they are going to fuss about the camping trip is increased. Let them join in on deciding where to set up the camp, it can be a fun process for everyone. Let kids pack their own bag- Give your kids some responsibility! I always have my kiddos pack their own day pack when we hike and I found it helpful to have them pack their own camping bag too! Now that’s not all!I have made you the ultimate camping planner, activity list, and packing list. So pin it for later and share!